The customer needs to be able to tow a caravan and boat trailer. 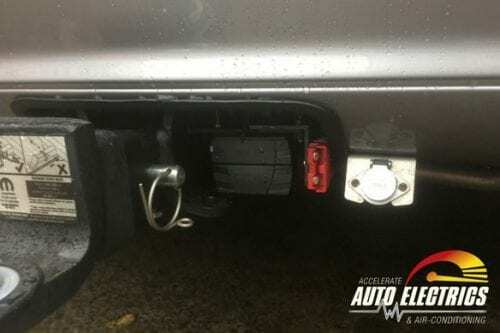 Firstly we had to remove the rear vision camera and cable on his old Holden Colorado that allowed him to view behind his caravan and install it on his new Jeep Grand Cherokee. Red Anderson Plug – so he can hook up his boat winch and power it from the car battery. 1. We mounted the camera screen that was taken out of his Nissan Navara over the exisiting rear vision mirror in the Jeep Grand Cherokee. We ran specific cable from the rear vision mirror/screen, across hood lining, down front pillar then down to the rear of the car, all the cable was hidden. 2. 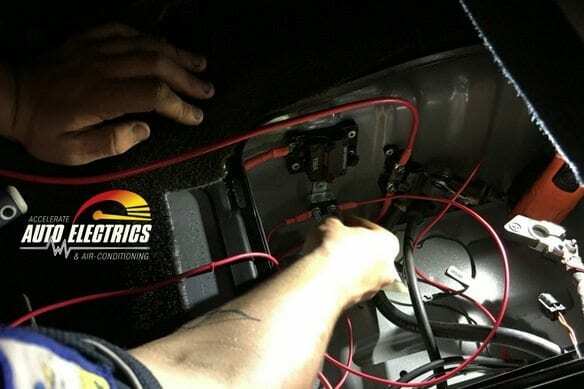 We mounted the main unit of the Redarc Tow Pro Elite under the dash and the controller of the Redarc Tow Pro Elite to the right of the steering wheel on the dash lower panel. We then ran 5mm twin core cable from the starter battery to the main unit then from the main unit to the 7pin plug at the rear of the car. 3. 6mm twin core cable is run from the battery to a midi fuse then through a voltage sensor to relay then to the 7pin trailer plug for the fridge feed. 4. 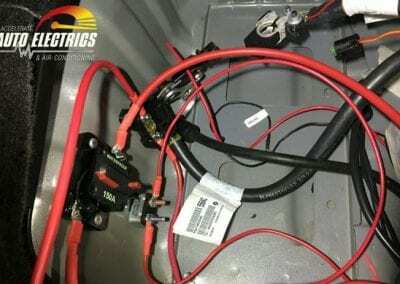 6B&S twin core cable is run from the battery into a 150amp manual reset circuit breaker then to a red Anderson plug to power the boat winch. 5. 8B&S twin core cable is run from the battery to a midi fuse to the grey Anderson plug to charge the batteries in the caravan while driving. 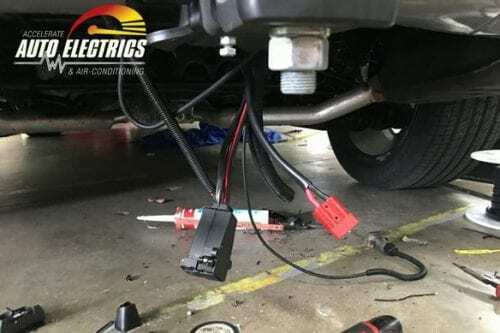 I have three questions if that is ok the vehicle is a 2018 jeep grand cherokee laredo 3.0 lt Q1 Where do i pick up the brake trigger wire for redarc tow pro elite Q2 What is the reverse wire for in the tow-bar wiring harness and do i need to hook it up Q3 In your answers above regarding the redarc tow pro elite setup you said (We then ran 5mm twin core cable from the starter battery to the main unit)in the redarc manual they say to pick up the earth from any point on the body. 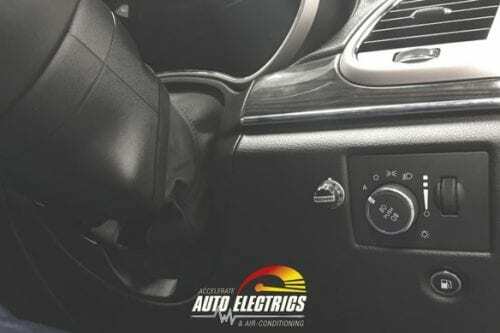 Due to the complexity of Jeep electrical systems, we would recommend getting your brake controller installed by an auto electrician. 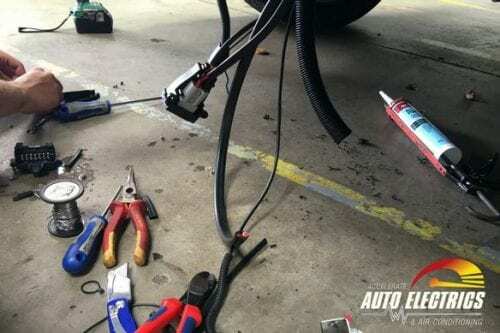 Jeeps are notoriously difficult when it comes to electrical work, so we always recommend using a qualified technician when it comes to accessory installations on these vehicles. Regarding your third question, the cable that was run from the starting battery was for the power supply, not the earth. With a Jeep gc WK2 ‘Overland’ my15 ,do I need a special Narva 12 pin connector. 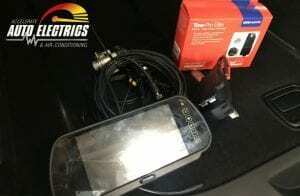 Vehicle has Factory fitted rear sensors and camera. Narva 82073BL for normally closed circuit , or 82074BL for normally open circuit ,or just the standard connector 82072BL. Which one is correct ? Narva dont know , can you advise ? 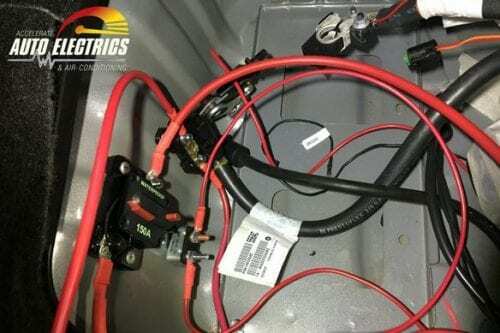 Unfortunately, Jeeps are notorious for having complicated electrics, so without seeing the vehicle, it is very difficult for us to offer a solution. The best option, if you are after further advice, is to call our office on 1300 227 353 to chat with one of our technicians. With a bit more information we might be able to work out what your best option is. Thanks. This is a very informative article, and you seem to know a lot about this stuff. I have recent bought a 2013 MY14 Grand Cherokee Overland which already has a built-in reversing camera. Firstly, is it possible to plug a second camera into the multifunction screen, so I can have a backup camera on our caravan, and not have to install a second screen? 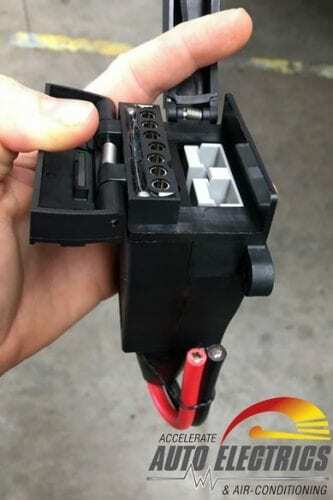 Secondly, I have read that the trailer plug (mine is a 12 pin) can come with a reed switch to turn off the reversing sensors while we pull a trailer, or caravan. I have also found that there’s 2 types of switching, either NC or NO. Do you know which version I will need? And how it it connected to the car’s wiring? I’m not an electrician, but I used to be a mechanic, but I have always disliked electrical work. 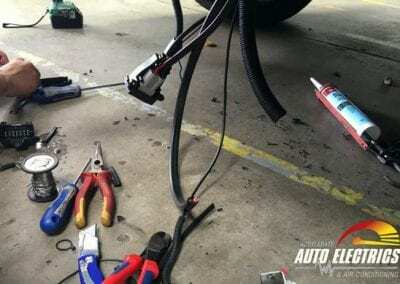 I’m in Melbourne, and would consider getting an auto electrician to do it for me, but I’m now retired for medical reasons, so don’t have a lot of money to spare, and I just might need to do it myself. The car already had a 7 pin plug, and a electric trailer braking system, which has a little knob under the dash, although it’s not needed as our caravan only has electric brakes as part of the stability system, but it has manual braking. The car also has an Anderson plug , which I had taken my constant 12v from, as it needs 30amp. There’s a need for an accessory 30amp wire as well, but as a temporary solution, I had also hooked up that wire from the anderson plug, until I can work out how to identify accessory wires. The car has keyless entry, and push button start, which confuses me, as there isn’t an accessory option as compared to a key ignition setup. 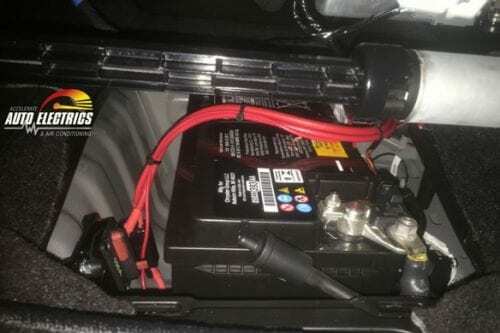 I have just figured out that there’s a cigarette socket in the cargo area, so I might check that out as an option to connect the relay to. Fingers crossed that the socket is turned off when the ignition is off. I also have to figure out how to remove the panels under the dash, and on the console where the shifter is. The car has 7 airbags, and I believe that the front seats also have knee airbags. Give me back my HR Holden lol. 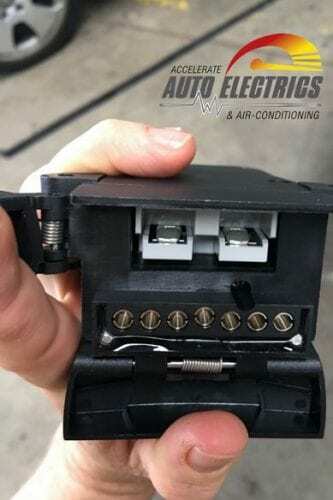 Unfortunately, Jeeps are notorious for having complicated electrical systems, so without seeing the vehicle, it is difficult for us to determine the best solution for you. The best option, if you are after further advice, is to call our office on 1300 227 353 to chat with one of our technicians. Thanks. That’s a really informative note you have provided and a neat spot to mount the TowPro dial. 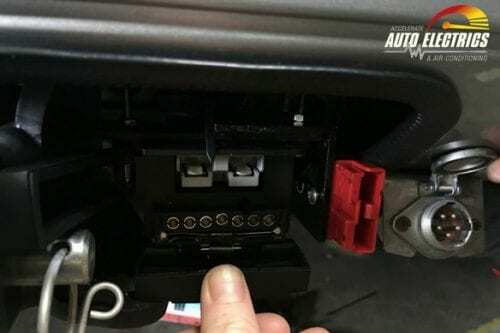 Is there a socket already available in the 2017 Grand Cherokee wiring harness somewhere behind the dash to connect the 4 wires on controller to or do you have to run the brake control wire all the way back to the tow bar? When mounting the controller to the dash, what did you use to cut out the small bulkhead behind the panel in order to fit the knob? Also did you have to grind the back of the panel down to allow the knob to fit securely! Hi Jacob, We used a dremmel, small files and a Stanley knife to remove required plastic from panels in order for the bulkhead to correctly mount behind the dash.